Flying kite is a great outdoor activity for kids, to have fun and build active lifestyle. 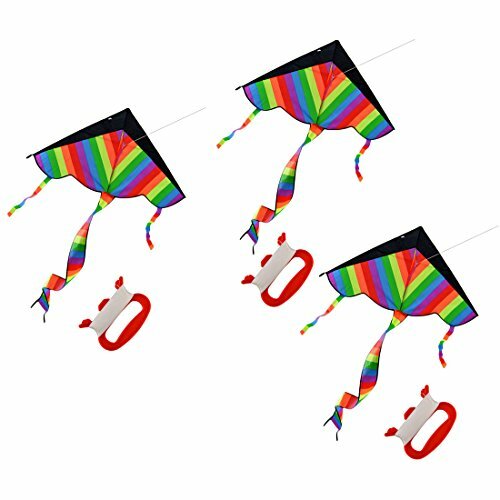 This kite is suitable for flying at the sea, grasslands, park, beach,etc; Kite line for per unit kite is 196inches long. Please kindly check the photo to know sizes for every part, unit kite weighs only 0.26pounds(0.12KG). Pretty easy to assemble and fly, it can be folded in a bag when you not fly. Made of 600D polyester, which is in good workmanship. If you have any questions about this product by RuiyiF, contact us by completing and submitting the form below. If you are looking for a specif part number, please include it with your message.